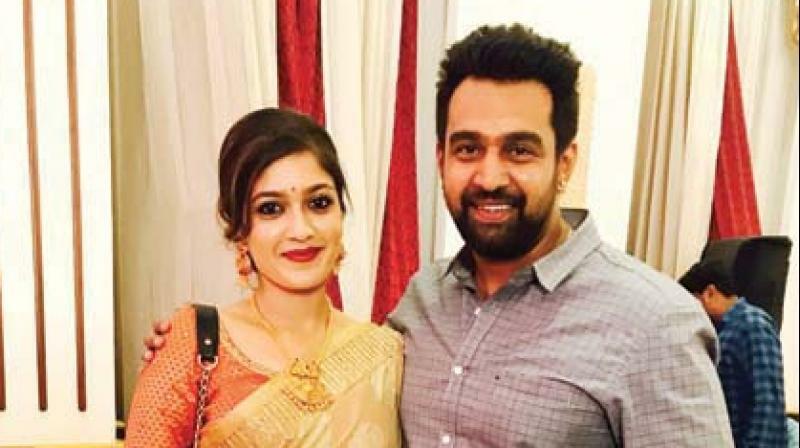 Silencing rumours, southern star Meghana Raj and actor Chiranjeevi Sarja got engaged. This one is certainly not ‘ek choti si love story’ or just any reel-to-real love story but a decade long friendship saga that has organically evolved into a romantic relationship as cupid worked its magic on them. Actors Meghana Raj and Chiranjeevi Sarja got engaged today in an intimate ceremony at a star hotel in Bengaluru. While confirming her engagement, the bold and beautiful actress Meghana Raj spoke about her special day, a decade long ‘special’ bond with her bestie Chiru, her happy parents, and her two new Kannada films which are getting launched on her engagement day itself. “Though we were getting engaged, nothing was yet finalised as the preparations were still on. Hence, none of us including my parents were in a position to confirm it,” says Meghana Raj, daughter of senior Kannada actors — Sunder Raj and Pramila Joshai. However, the actress clarifies that the wedding date is not yet finalised and that the reports about her wedding in December is a ‘false’ one. She adds, “Honestly, we haven’t even thought about our wedding. As of now, we are getting engaged and our parents will decide on that.” While the actress wonders about cupid’s magical timing, she says that she always feels Chiru as more of a friend than lover. “We have always been like that ever since we have known each other. It is almost a decade now after I got introduced to him. Since then, we have been and even known to be as two best friends. He has always been there for me, and we constantly support each other and even seek advice on all matters including the films we take up and discuss a lot about acting career. Moreover films simply run in our blood, as we both come from a family which is closely associated with the film industry for a long time. “I guess as days passed by, the special bond bond between us made people around us feel that we were ‘made for each other’. And, it just happened over the time,” reveals Meghana Raj.